Episode 23, One Man’s War, comes a fair distance out of right field. In fact, the story goes so far off the rails from the previous chapter that it’s hard not to view this installment as the writers frantically trying to avoid painting themselves into a corner. Recall that Captain Okita told the crew that their destination was Iscandar. Yet a blast from Dessler’s wave motion gun manages to shatter that particular plot point as the Yamato sets a direct path for Gamilas without a word of explanation. Then things start to get really weird. So weird that the episode evokes memories of the final plot arc of Gundam Wing. For reasons of pure plot convenience, Captain Okita’s grand strategy in attacking Gamilas is to ram the Yamato into Dessler’s palace. It’s a move that screams desperation at a point when the Yamato is generally space worthy and combat ready. Right about the same time Okita is blowing common sense out the airlock, Dessler launches his personal flagship to rendezvous with the orbiting fortress “Second Baleras,” which looks nothing at all like Gundam’s Battle Station Libra. Shortly after docking his ship with the orbiting platform, which he intends to use to bring a little bit of Gamilas to Iscandar, Dessler ejects a massive industrial block from the fortress, setting it for a collision course with the original Baleras. Paging Heero Yuy. Heero Yuy to the recycled plot wing. Is anybody else confused yet? Is something lost in the translation that explains why Dessler has morphed into Nero over the span of an episode? Rather than being the calculating tactician, Dessler has turned into a madman intent upon destroying his former capital city through any means necessary. When the Yamato turns the wave motion gun on the falling industrial block, stymieing Dessler’s massacre, Dessler targets his own wave motion gun on the unsuspecting city below. In this moment the writing is probably at the worst I’ve seen it in the series. There’s no motivation here. For Dessler, there’s nothing to be gained, and everything is to be lost. The Gamilan leader’s willingness to destroy his own people burns through all the character development we’ve seen out of him in this series. Dessler talks about merely destroying Baleras, but both the audience and Dessler know that a wave motion blast will destroy all of Gamilas. How does he think he would be allowed to rule after destroying the homeworld of his empire? It makes no sense. Only slightly less disappointing is Okita’s decision to use the wave motion gun, the series’ ubiquitous weapon of mass destruction, to save the doomed Gamilans in Baleras. Though I wouldn’t expect him to do otherwise, the incident feels like a cop out. The original series had Kodai destroy much of Baleras in a surprise attack. The guilt that he felt afterward informed his narrative and served to underscore the series’ main theme: a justified war must be fought with equal parts regret and virtue. Now there’s no other interpretation for the incursion to Gamilas than as a mission to win the hearts and minds of the Gamilan people while simultaneously demonstrating to Yurisha that humanity’s weaponization of wave motion energy had a purpose beyond abject destruction. “Actions not words,” Okita says to Yurisha as he announces his plan to save his enemy’s city. It’s a callback to their previous conversation wherein the Third Princess of Iscandar said that humanity was no better than Gamilas. Now with Baleras safe, Okita has likely proven that the Earth is worthy of salvation. Perhaps he even finds some level of redemption for the fact that he was party to the massacre that started the war between Earth and Gamilas. Though the colonizing nature of the Gamilan Empire likely meant that their recon probe into the Sol System would have led to an invasion regardless of how Humanity conducted itself during the first contact. The episode ends with an peaceful stillness in the space surrounding Gamilas. A lone second-class Gamilan shoves a captured Yuki out of an airlock – later to be rescued by Kodai – before detonating the wave motion core of Second Baleras. The subsequent explosion destroys the battle station as well as the Imperial Guard fleet surrounding Gamilas. It’s probably safe to assume that Dessler’s ship jumped before being vaporized. 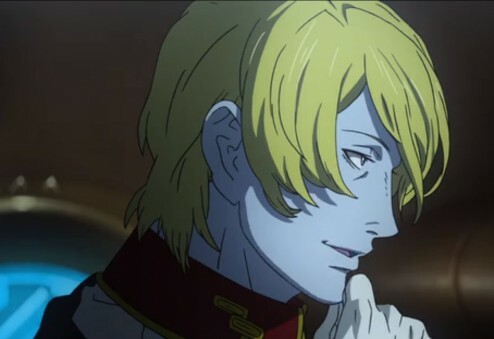 I always wondered if Yamato 2199 would stay clear of its predecessor’s third act genocide. While I’m generally okay with the end result of One Man’s War, I won’t give it any any style points for getting from point A to point B. Everything about this new end-game feels too artificial. 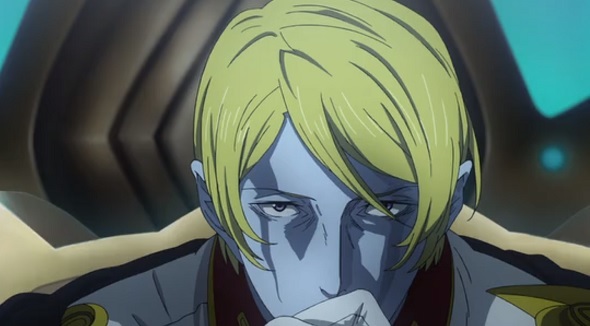 Dessler’s convenient jaunt into madness runs counter to much of what we’ve seen from this character. Similarly, Okita’s generally poor choice of tactics worked out just a little too well for the Yamato and the city of Baleras. It got us where we needed to be, but it was an ugly ride. – Okita passed out on the bridge, again. I wonder if he’s actually going to die this time. – Some part of me is worried that the series is going to take a page from the terrible Space Battleship Yamato live action film and kill everybody in the final episode. – It seems less and less likely that Sanada is going to turn into out to be a cyborg.